Lino Printing – 2/3 colour prints, 11th September 2018. 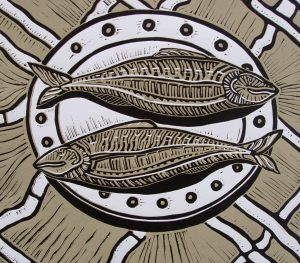 This an ideal workshop if you have some previous experience with lino cutting and printing and now wish to extend your skills, creating 2 or 3 colour prints. For further details go to: www.fieldbreaks.co.uk. 11th September 2018, 10 – 3.45pm, The Art Room, Barlow, Dronfield, S18 7TE, £69. To book: phone 01433 621420 or email info#fieldbreaks.co.uk.